I wanted to do a crisp design for this card, which is unusual for me, but I like this look. The base is in the blue and the stone wall I die cut using the same paper. I used the stitched rectangle for the white layer, then glued the wall on. 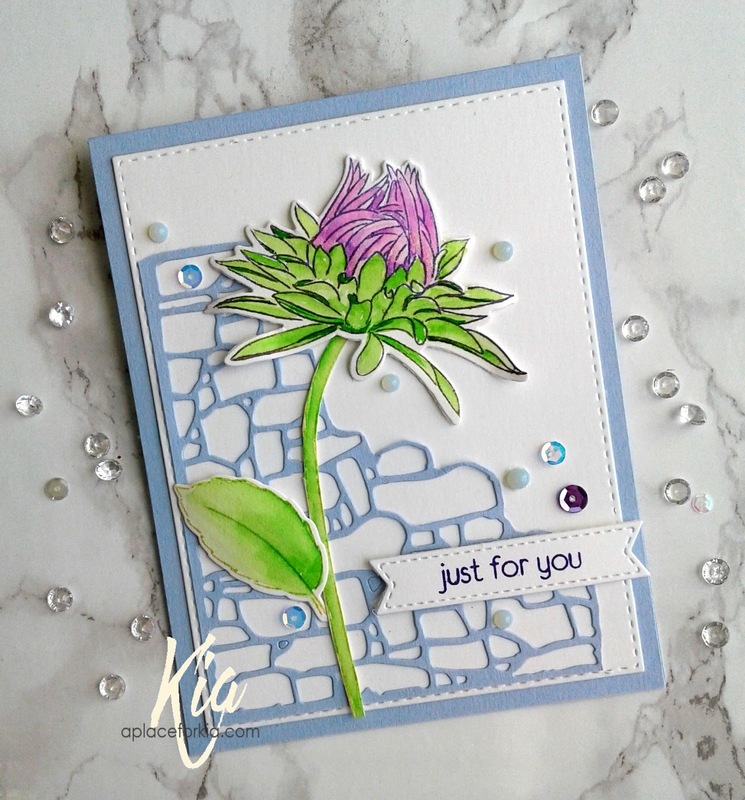 For the flower, in my Misti, I stamped using watercolour paper. I stamped the stem using green along with the bottom parts of the flower. 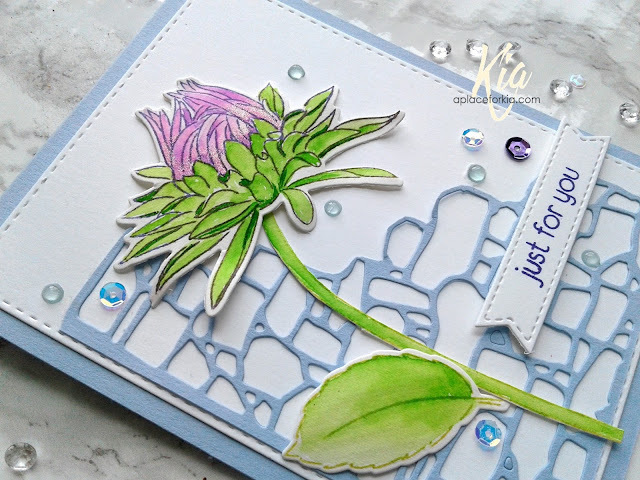 For the top part of the flower I stamped using violet. 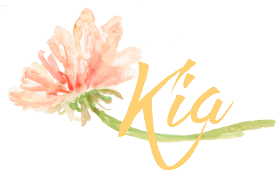 I then painted with Zig brushes, and die cut. As I wanted the stem angled, I fussy cut it. The flower is styled and attached using foam dots. I stamped the sentiment in the violet, then die cut with the label and attached it using foam tape. To finish I added jewel drops in light blue and sequins and added a touch of Wink of Stella to the base of the flower. Products: Altenew Best Buds Stamp and Die Set, Sizzix Multi Media #4, Simon Says Stamp Stitched Rectangles, Frantic Stamper Double Fishtail Label Die Set, Neenah Cardstock, Aura Cardstock, Fabriano Hot Press Watercolour Paper, Ranger Archival Majestic Violet Ink, Simon Says Stamp Wisteria and Catkin Ink, Zig Clean Colour Brushes, Nuvo Jewel Drops Sea Breeze, Wink of Stella, Sequins, Foam Tape and Dots.